And it’s true. The do-it-all rare from Return to Ravnica forms the backbone of many a Modern and Legacy deck. It’s an all-star and hasn’t been reprinted yet, and it has no obvious reprinting on the horizon. People hoard like mad because they expect it to be the next Snapcaster Mage (or whatever other staple you prefer) in terms of growth, moving well past $20. Abrupt Decay is $12 according to TCGplayer mid and MTGPrice’s Fair Trade Price algorithm. You know what else is $12 today? Thunderbreak Regent. Both rares from large sets; both sitting at the same price point. One is an eternal powerhouse and one is a powerful Standard card and sure-to-be a casual favorite for years to come, but there’s also a (sweet) promo printing of this one, as well. If you had a copy of the dragon, would you trade it straight across for an Abrupt Decay? I sure would. After all, Thunderbreak Regent may be a good long-term hold, but it’s going to get much cheaper before it gets more expensive. Decay, on the other hand, has been a staple at its current price for a while, and the overall growth trend has been nothing but up over the last year. This tells me one of two things: either Decays are massively underpriced right now or Thunderbreak is overpriced. While there’s some argument for both sides, I’m going to go with the latter. Standard is a great driver of prices, but in Magic finance, we’re concerned not as much with what offers us the best chance to win in Standard right now, but what offers us the most upside financially. And as I look over Dragons of Tarkir, it’s hard to find many cards that fit that bill. The reason? That topic you always hear bandied about but rarely examined in action in Magic: supply and demand. I don’t have a business degree (though I did get a few years into the program before ultimately being forced to choose between business and writing when I learned I would be unable to complete both). 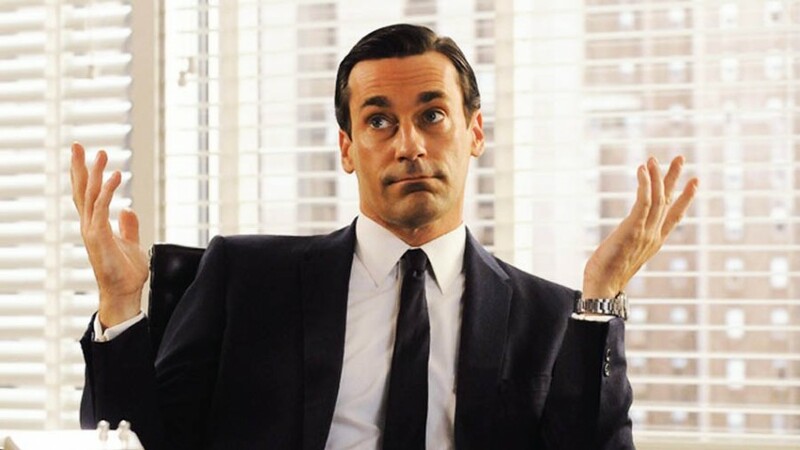 I’ll assume most of you don’t have a business degree, either. Luckily, what we’re talking about today is taught in Econ 101 classes across the world, though it’s often ignored when it comes to MTG finance. Supply and demand is what is truly at the heart of the price of every card in Magic. It’s why Liliana of the Veil is now pushing $100 and a former all-star like Terravore is riding an extreme sled downhill financially. So now that we are internet experts in supply and demand, let’s apply these principles to the two cards we’re comparing today. First up, Abrupt Decay. Demand is fairly constant at this point, and so is supply. We haven’t had a huge push for Modern since Decay rose to its current price almost a year ago. People who play the decks it goes in mostly already play them, and everyone else is being held back not by Decays, but by stuff like Tarmogoyf. That creates a ceiling on demand for the time being. Now let’s look at the Regent. Demand is huge right now. The card is great in Standard, and there’s dragon EDH and kitchen-table dragons and all other manner of dragon tribal to give this thing some love. But the discrepancy comes on the supply side. Here, we see a card that is still being drafted and will be for another month or so. Magic Online redemption will also be impacting Dragons prices soon. Both of these things will continue to increase supply for the next month or two before reaching a point like Abrupt Decay, where supply becomes more or less constant. Broken down like this, it’s clear that we have a case of the third tenet of supply and demand above, where demand will remain unchanged and supply will increase. And because Wikipedia never lies, I guess we have to believe that a surplus will occur and a lower equilibrium price will be reached. I’ve said it before, and I’ll say it again: the cards don’t matter. It could be the dawn of Magic or the next Pro Tour, but what the card reads doesn’t matter at all. The only thing that matters in regards to price is supply and demand, and that’s one of the most important Magic finance lessons you can learn. This isn’t rocket science to anyone following the financial side of Magic. But it is worth articulating as we move into what is going to be a very busy few months for Magic. 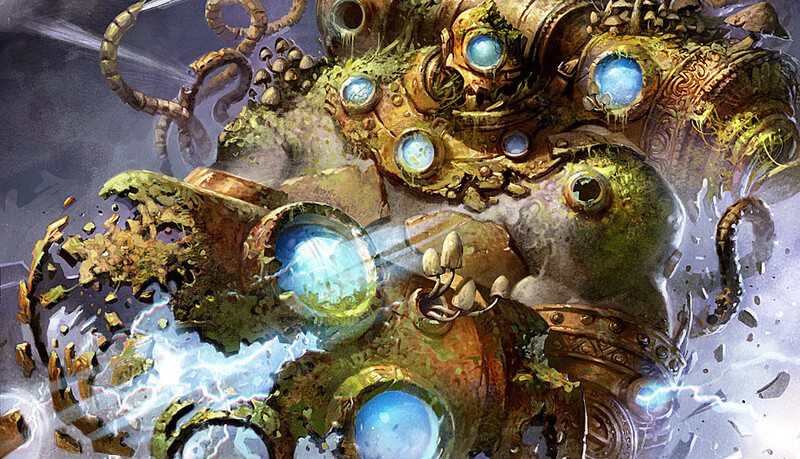 Modern Masters 2015 is just over the horizon, and Origins waits beyond that. If we want to talk about Dragons, we’re quickly running out of time. There’s another important tenet of supply and demand when it comes to Magic: peak supply. It’s that point where there will realistically not be much more of a particular set opened, but it’s still new enough that copies are abundant. Khans of Theros is at peak supply right now; Fate Reforged and Dragons of Tarkir are soon to follow. But we’re not there yet. And that means all those juicy spec targets in Dragons of Tarkir are not yet ripe for the picking. Some of them, like Thunderbreak Regent, are a long way from it. Haven of the Spirit Dragon is another card I’m super excited about in the long-term, but the price is way too high right now. Typically, hitting peak supply is enough to push these cards down low enough to pick up for the long-term, and that’s a strategy that’s worked very well in the past. But I think this is a unique circumstance where that may not actually be the case. Because of Modern Masters 2015, Dragons will be quickly forgotten and unloved, meaning many fewer packs opened than we might otherwise expect. Many of the long-term “casual” targets are actually seeing play in Standard. That means peak supply may not actually represent the lowest price. Because of these two factors, we may not see Dragons of Tarkir cards bottom out as hard as their counterparts from Khans of Tarkir. So what does this mean for the two cards we introduced in the opener? Modern Masters 2015 is going to push more ‘Goyfs into the hands of players and drive up interest in Modern overall, and I expect Abrupt Decay will be seeing upward growth this summer. 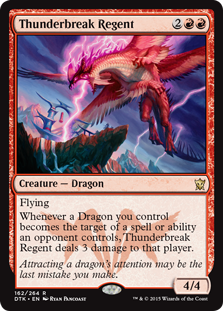 Thunderbreak Regent, which will stay relatively high compared to other Standard cards, is on a completely different trajectory than Abrupt Decay right now. And that goes for basically everything in Dragons of Tarkir. Have some sweet Dragonlords? Trade them away while you can. With peak supply not here yet, they’re going to be cheaper before they’re more expensive. I hope I’ve illustrated why I believe moving out of Dragons cards is a good idea right now, no matter how much they’re tearing up tournaments. But I do want to talk about the long-term outlook of the set before I go. Remember when the set came out and everyone was jokingly calling it “Dragons Maze of Tarkir”? Okay, maybe that was just me applying (what I considered) a witty name to a set that many were underwhelmed by. The expected value of a box before the release was a pitiful $80 or $90, and people were panning the set. Yeah, they were wrong. The EV is up to $130 and the set has been a hit in Standard. 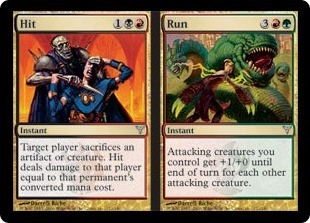 Frankly, I never cared about what it did in Standard. For me, this set is all about the long-term. I’m not seeing anything like Liliana or Snapcaster Mage—cards that will define eternal formats—in the set, but I am seeing something similar to Rise of the Eldrazi. That is, a set filled to the brim with casual and Commander goodies. The Dragonlords are the best examples, but Thunderbreak is great, as is Haven of the Spirit Dragon and Sidisi, Undead Vizier and even something innocuous like Dragon Tempest (remember that Crucible of Fire was a $5 card before the reprinting). And I was excited when everything was cheap. All these cards I loved as long-term specs were going to be pennies and we could all load up! Alas, it hasn’t worked out that way, and that means I’ve had to adjust my outlook accordingly. While I believe it’s correct right now to get out of Dragons of Tarkir cards, I plan to keep a close eye on when that changes. If rotation comes along in a few months and everyone is so enthralled with Modern or Battle for Zendikar that they’re happy to move suddenly cheap Dragons cards, I will be happily snapping them up. With this set lasting through two rotations, that won’t be a shock to see happen at some point. But even if that doesn’t happen and prices stay high, as they well could, I’m willing to be patient. This set will be a gold mine in three to five years. I know not many people look that far ahead, and certainly not many writers make that a basis of their writing, but the long term has always been my preferred outlook. If we have to wait for final rotation to lower the prices on these cards, I’m willing to wait. But rest assured, when the time comes, I’ll be picking these up in force, because dragons are second only to angels in casual appeal. Of course, we have plenty of time to see these things come to pass. But they will, so file this one in the back of your mind and be ready to pull it out again here in six months or a year. In the meantime, prepare yourself for the upcoming Modern Masters 2015 spoilers we’ll soon be receiving. It’s going to be a wild ride. With Modern Masters 2015 being a limited supply and all that, how many stores do you think will get/keep enough product to support a few months worth of drafts? All the stores in my area (Springfield/Joplin , MO,Rogers, AR etc)have said they plan on selling all of their supply because the demand for drafting it isn’t really there. Instead they will continue to do their drafts on DTK/FRF like before. Do you think there will be enough stores that follow that plan of NOT replacing draft nights with MM15 and continuing to draft standard to impact prices further? With the sure sellouts that most stores will have fairly quickly and DTK is considerably better than Dragons Maze both to play and draft I would think that there will be plenty more DTK/FRF to be opened and people would continue to draft that until Origins. Do you think this scenario will play out enough to constitute more packs of Khans block being opened that people are assuming? If so could this have a bigger impact on the price of DTK cards as well? 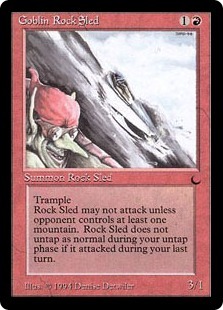 My feeling to drafting MM15 is that there may be an initial bump because of newness, but then drop. My reasoning is that the cost of MM15 draft will be considerably more than drafting DTK. I’m starting to believe that this set will have solid value during it’s Standard life because there seems to be such a low supply. Serious players don’t seem to care about drafting the set and casual players can’t afford the dragon lords yet. Unfortunately, I don’t think there are good long term specs at this point until the bottom falls out of the Standard only cards and maybe bring the other cards down with them. I agree that if you aren’t playing any of the Dragon’s of Tarkir cards you should move them, but I don’t see when there’s going to be a good time to get any of the cards you’d actually want from this set as a spec. The price of these cards has really caught me off guard and as a Standard player and Investor it’s pretty disappointing…Hitting on Thunderbreaks but having to trade 2 for a Deathmist Raptor I need for a deck isn’t much of a win and that’s IF i can make that trade.